Ah,you caught one. So glad this girl is safe. I worry so much about some of the others I've seen. Is she down by the marsh land? 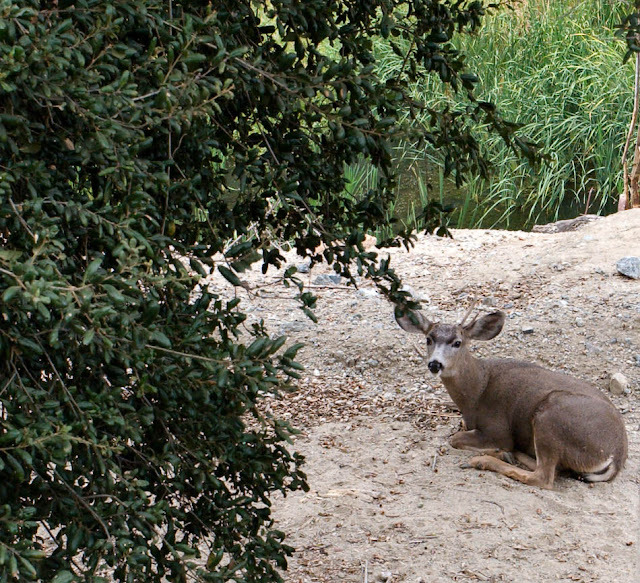 Altadenahiker: I saw about a half dozen yesterday, most outside the park in the residential areas. Pas Adj: Along the debris basin before the entrance station. Underneath that metal walkway that extends out over the basin. Smart choice. The deer is somewhat hidden yet can see anything that approaches.